The dream of taking of on a long sailing adventur like this is almost as old as myself. I would say it started when I was six years old and my grandmother read me the book Red Admiral. It was about a Norwegian sailor family who lived on their boat Colin Archer for several years during their trip in which they circumferenced the globe. 20 years later, after stacks of other books with similar stories about sailors and adventurers I started working on making my own dream a reality. The initial plan was to set sails at the end of 2009. We were four friends planning to travel together, and the search for the perfect boat started. But as you know, with big plans like these, people always start to freak out. In the end, I was the only one left still determined to go through with the plans. This was a lifelong dream of mine, and I wasn’t willing to let go of it that easily. But destiny turned out to be kind to me. 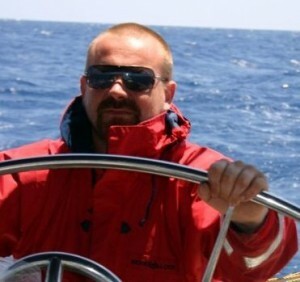 I met Magnus, and already 2 weeks later we were on a flight to Athens, Greece together in search of the perfect boat. And now, the dream is soon a reality. We set sail in July 2012. Two adventure seeking guys filled with motivation and excitement. Add our 50 feet sail boat into the equation. See you on the other side of the Equator! As a young boy I was also inspired by the novel Red Admiral. For years I was daydreaming about my own adventures after my family had decided to make one of our own. In 1991 we visited the Hoff family (the family from the novel!) in search for advice and further inspiration (if the latter was even possible). The initial plan was to circumference the world over a period of 3 years, but this was changed before we went on our trip. In June 1992, two families (4 adults and 5 children) set sail from Arendal in a sail boat named SY Nordavind. A year later the trip from Norway to Venezuela and back was completed, and it had given us memories for life. I have to admit that it was really pleasant to return to Norway where I could reunite with my friends and grand parents. In a way, one full year of sailing with new exciting experiences every day makes the time go faster and slower at the same time! One of the feelings I remember the most about my return was that nothing had really changed back in Norway. It was just as if the clock had stopped ticking at home while we were doing our trip, and now it had just started going again. 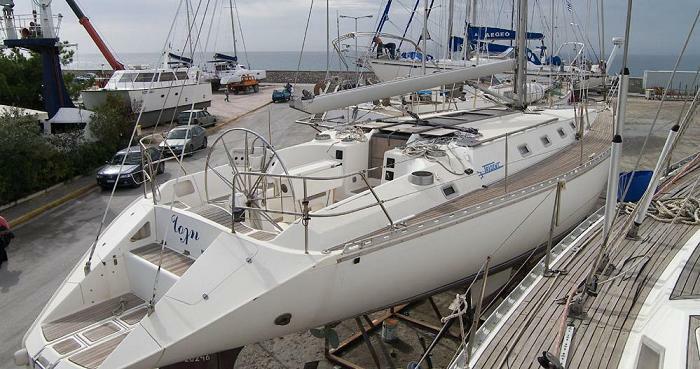 Now our sail boat Nordavind was sold and for the next 10 years I don’t have many stories to tell about sailing. But then, one Sunday in the spring of 2009 Martin and I were watching a travel program on TV. We started to fantasize about going on our own trip, and 30 minutes later we’d made the deal. We were going!! We set the date for August 2010, which we later had to push to one year later due to our jobs. This was also necessary in order to get the boat in the necessary condition for our trip. Less that 2 months after this spring Sunday, we’d already purchased the boat. Unseen, in Greece, although we had been assured about it’s quality. We need a sail boat, and we need it fast! Time is a limited resource. We soon discovered the reality of this when we looked over our work schedule for 2009. If we wanted to get our boat purchase done, we needed to act fast. 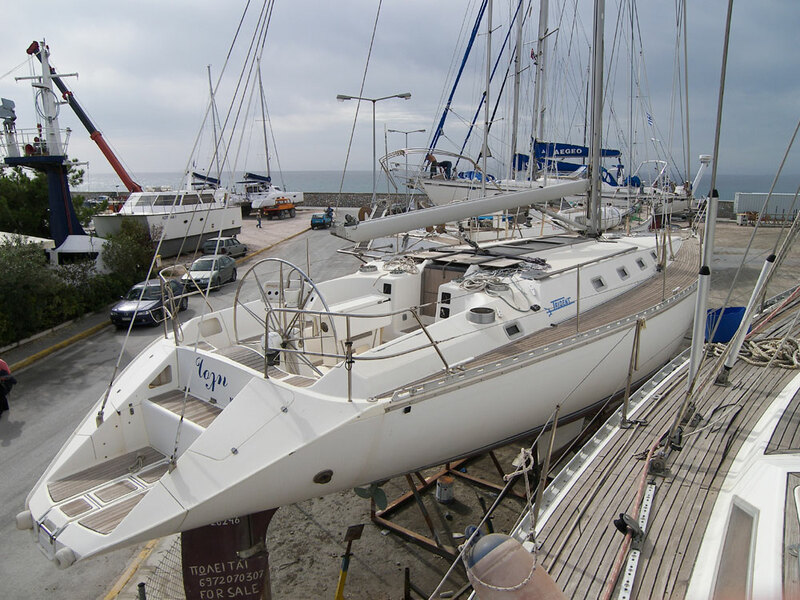 On internet, we got in touch with a Norwegian boat dealer in Greece. Two weeks later we were on our way to Athens. I’d had a sinus surgery the same day, and I had to try to take strong pain killers to cover up the pain. My choice was to try a combination of medications from the pharmacy and Gin & Tonics. And for anyone who just couldn’t fight the temptation to try, I did not recommend it!! Nevertheless, this was our only option time wise, and I had no choice but to go. Magnus was laughing and I was yelling complaints as we took of to Athens using the cheapest means of transportation that we could possibly find. Neither Magnus nor I are the kind of people who dwell on decisions before we make them. When things happen, they happen fast. This is how things work the best for us. We just wanted to buy this boat ASAP! After two days of test sailing different boats (manufactured by IKEA), and numerous bottles of ouzo and metaxa, the Norwegian boat dealer in Greece was dancing on the table. My nose was bleeding, and Magnus was actively trying to create new relationships, clearly influenced by traditional Greek beverages. This was a custom built Bermuda Rigged ocean cruiser, designed by J&J Design Team. The boat had a 7 kiloton lead wing keel, and the total weight of the boat was 16 kiloton. The whole hull was made of five centimeters of glass fibers. The boat truly was unique! And the Greek builder who initially had made the boat for himself and his family hadn’t been short on resources in the making process. We knew right away that this was the boat that we wanted. We returned to Norway without even seeing it. And then we signed the purchase papers, before we even set our eyes on the boat!! Tilfeldighetene skulle ha det slik at vi traff Tom Gisle Bellika (fra Berserk) på flyplassen i Athen første gang vi var der nede. Han hadde gjort noen opptak for NRK og hadde reist noen mnd for de pengene han tjente på det. Han var godt i slaget! Vi håpte egentlig på at han skulle holde seg et stykke unna oss. Neida, vi så nok ikke ut som grekere og Gisle tok umiddelbart kontakt. Gisle klarte selvfølgelig å skaffe seg den ledige plassen mot midtgangen av flyet. Magnus forsøkte å late som han sov, mens Martin hadde større problemer med å sno seg unna. Martin var jo fortsatt langt fra frisk, og turte ikke fortelle til sin mor at han skulle til Hellas for å kjøpe båt! Med sitt enorme støynivå underholdt Gisle hele flyet. Til noens fortvilelse og til andres glede. Det tok litt tid, men etterhvert som historiene fra Gisle sine 3 mnd på tur ble fortalt, skjønte vi at mannen er jo faktisk smart. Ja, skinnet bedrar tydeligvis Vi fortalte om båten vår, og at vi var på utkikk etter noen til å seile den hjem til Norge, noe Gisle så klart var intressert i. At Gisle ikke skulle ha enda en ny øl da han igjen trykket på knappen for å få kabinpersonale bort, gledet tydeligvis flyvertinnen, som med et smil gav Gisle en serviett til å skrive adressen sin på. Tidlig i mai var båten kjøpt og vi startet umiddelbart å få i gang arbeid på båten. Innkjøp og utarbeiding av: Sprayhood, bimini, targabøye til solceller, nye kjøleelementer, VHF, Epirb, m.m. Utfordringen ble å holde kontroll og oversikt slik at arbeidet ble gjort slik vi ønsket det i Athen. Det lykkes vi bare delvis med. Selv om båtformidleren forsøkte(tilsynlatende) å få ting i orden, tok ting tid, koster mer og ble ikke ordentlig. Arbeidet ble riktignok billigere(muligens) enn vi hadde fått gjort det i norge, men lagt fra samme kvalitet. Vi visste ikke om vi skulle le eller gråte da vi hadde bestilt vasking av skutesiden fra kl 09.00 om morgenen, da det dukket en forvirret Greker opp i 13-14 tiden med en eneste flaske zalo. Han var mest intressert i å snakke og var i strålende humør. Da han ikke kunne engelske og vi ikke forsto et kvekk av hva han fortalte satt han alikevell i gang med noe som kunne minne om en greker som jobber, altså ingenting ble gjort. Lite høre vi fra Gisle og tenkte vell egentlig “No news is good news”. Noen ganger tok han likevell kontakt, når skipskassa var tom og vi måtte overføre mer penger. (Nei, vi følte oss ikke lurt, det koster med diesel og mat selv i utlandet) At siste eier hadde “glemt” igjen “kassevis” med sprit/blandevann i båten, skulle vise seg å ikke by på problemer med Norske Tollmyndigheter. Det var vakum på samtlige flasker lenge før båten nådde Norge. 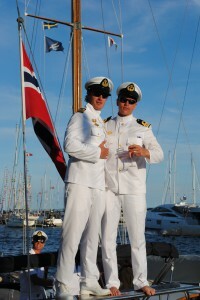 On July 10th, 2009 the boat docked in Arendal, Norway! This was a huge day. Festivities and baptism of the boat was arranged. Martin’s parents visited from Kongsberg, and Magnus’ family was also well represented by including “Grandma” on 83. How Gisle, with an alcohol level of 3-4 and a rather unsophisticated use of language managed to be approved by the grandmother seemed like a miracle to us. But thank you Gisle, for getting the boat all the way to Norway still in good shape! The name of the boat had been agreed on a few weeks prior: Armatura Borealis. Aurora Borealis is another word for the Northern lights. Armateur is the French word for ship owner. 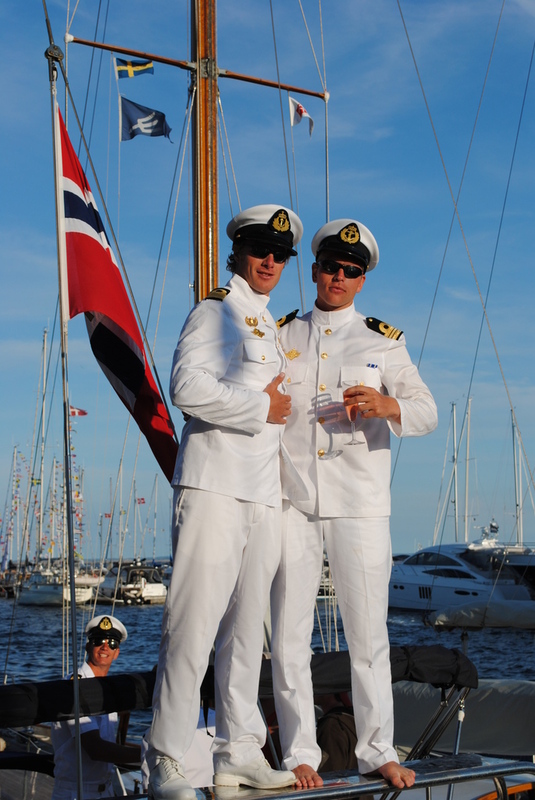 Our meaning of Armatura Borealis is thus: The ship owners of the North.